Many of our readers are interested in emerging, new and popular exercise activities. They are keen to learn about and to participate in new or hybrid programs that deliver health and lifestyle benefits. One type of aerobic activity that has become, and that is continuing to become, more popular is spinning. Enabling year-round participation through the ubiquity of many sites. While popular, spinning may or may not be for you. 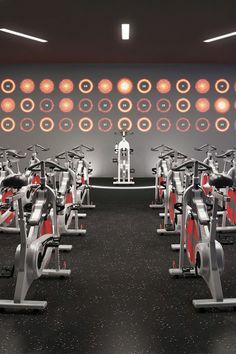 In addition, if you choose to consider a spinning class, you may also find the following article to be highly informative. It was prepared and published by the Berkeley Wellness team at the University of California, and it offers many insights about the activity. Are spinning classes bad for your knees? With any form of exercise, injuries may arise with overuse, improper form or improper fit of the equipment. One of the most common injury in spinning is Patellofemoral pain syndrome (PFPS) or cyclist’s knee. It is caused by repetitive friction between the kneecap and the thigh bone. A burning and tingling sensation in the feet is another common complaint of frequent cyclists. To avoid, try wearing shoes that aren’t too tight and be sure to position your bicycle cleats properly. If you start to feel this sensation when you’re cycling, try taking your foot off the pedal and shaking them for a few seconds. It could also mean that it’s time to dial back the intensity of the workout, lowering your saddle, or moving the angle of your cleats. Experts agree that the benefits of cycling are enormous and that the best way to avoid injuries is to start out slowly and gradually increase the intensity of the workout. Listen to what your body is telling you. Take a break before your symptoms progress and allow recovery time between workouts. Remember – just because you can keep going, doesn’t mean you should.